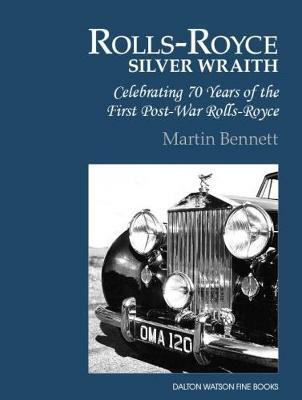 This book is a celebration, in its 70th Anniversary year, of the first Rolls-Royce motor car to emerge after World War II, the Silver Wraith. Excluding experimental cars, the total production of that model, spanning just over a decade, amounted to 1,883 cars, no two of which were exactly alike. These are precious reminders of a past in which bespoke, hand-built motor cars of their type were once made. All Silver Wraiths followed the pre-war practice of having custom bodies from such coachbuilders as H.J. Mulliner, Hooper and James Young. Comprehensive histories of these and other coachbuilders are included and every Silver Wraith built is listed in detail in a comprehensive table.